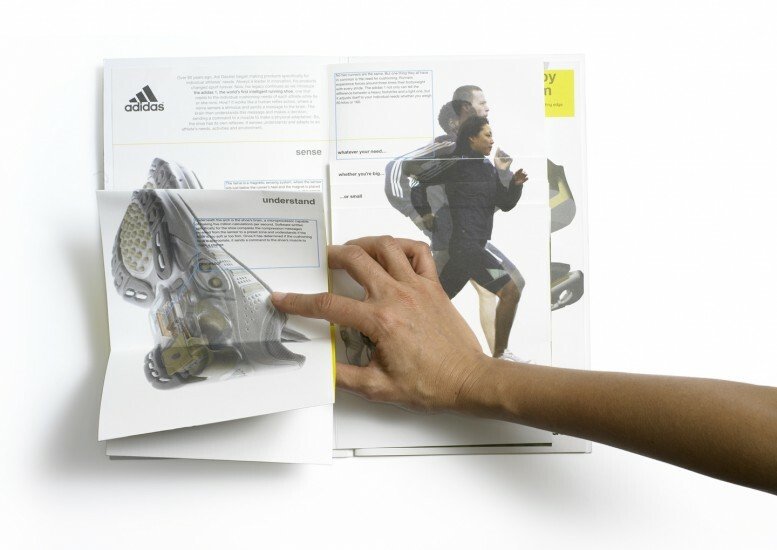 Adidas asked Jog to develop a folder to support the launch of the Adidas 1 shoe. The shoe was the first to use in-built technology to adapt to the runner during the run and Adidas wanted something distinctive to hold the launch materials. The folder had to meet two key objectives. First it had to immediately strike the recipient as innovative and unique, building anticipation for product itself. Secondly it had to create an instant and lasting connection to the Adidas brand. 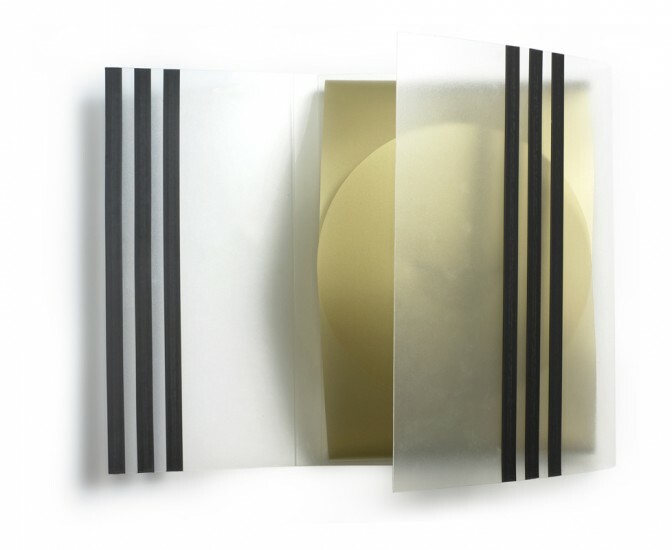 This project became an exercise in expressing the Adidas brand in a refreshing way using simply the physical elements of a folder but also referencing the technology within the Adidas 1 shoe. The three stripes on the front are not simply decorative representations of a well-know Adidas device. 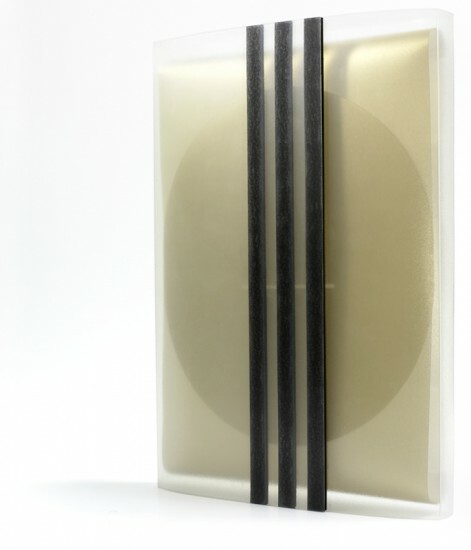 They are magnetic strips that act as the closing device for the folder and reference magnets used as sensors in the Adidas 1 shoe. 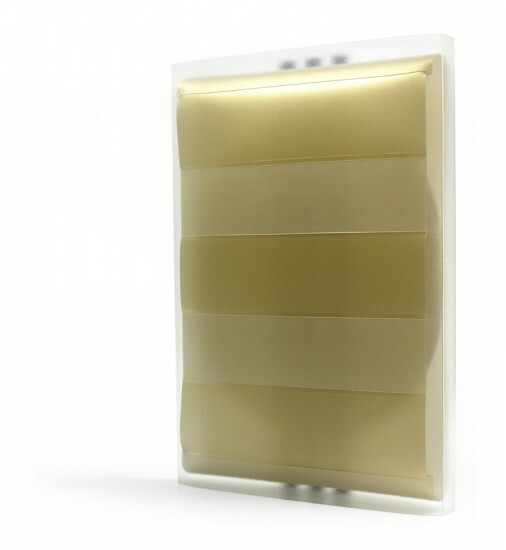 The folder is formed from two pieces of polypropylene which together create an outer skin and inner central cushion which holds the content. The normal method for joining two pieces of polypropylene is heat welding which can be ugly. To avoid this we designed a woven form that further reflects the three stripes as the inner and outer sections inter link on the back of the folder. Adidas 1 was the first shoe to use inbuilt technology to constantly adapt to the runner and to running conditions. The shoe senses the level of compression in the heel during a run and adapts the strength of heel cushioning. 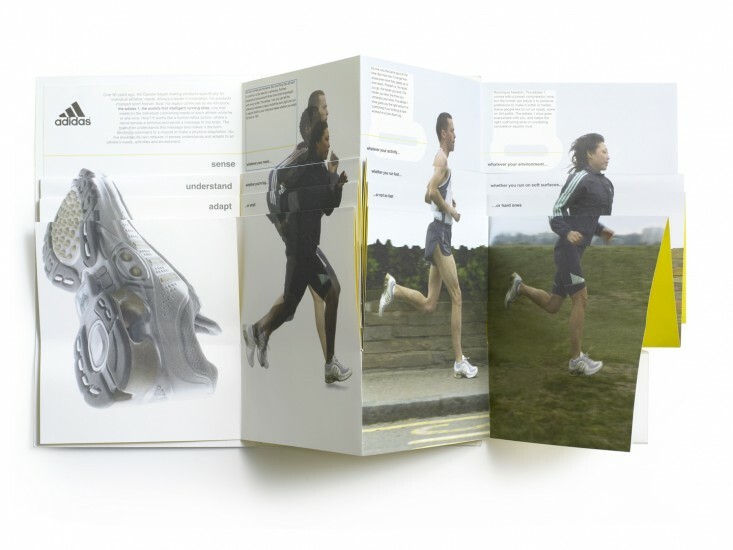 adidas commissioned Jog to design a series of materials for the press launch of the shoe, including an innovative brochure that communicates the shoe’s story in an appropriate and refreshing way. 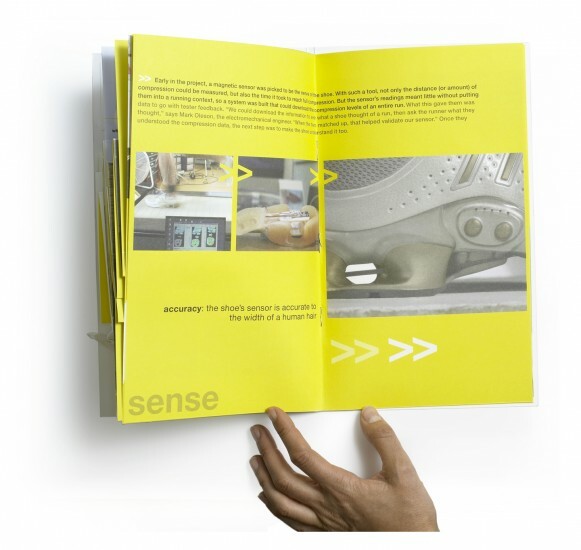 The brochure needed to show the shoe working on several levels since much of the mechanism is not visible on the surface. It also needed to show how it responds in a variety of running conditions. 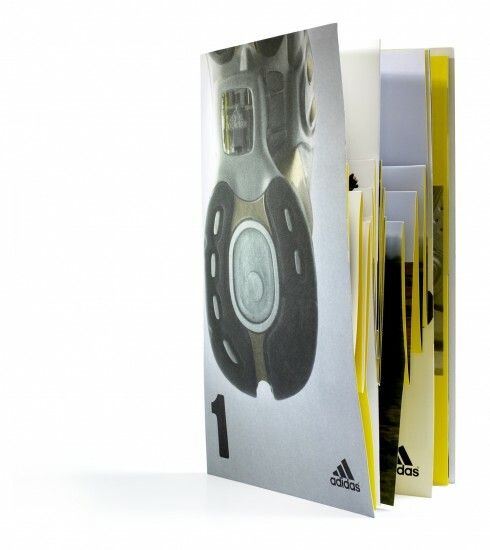 This is a complex requirement for a brochure that must also push the brand strongly to ensure people associate these innovations with Adidas. By using an unusual combination of folds and cuts Jog created a format that could be browsed vertically as well as horizontally. This enabled people to see each part of the story on three levels, showing how the shoe can sense, understand and adapt throughout a run.